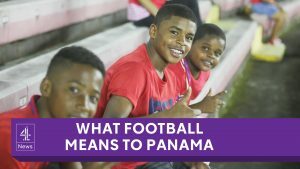 For England, expectations for their head-to-head with Panama are pretty high – they’re playing a country ranked 43 places below them. But for the people of Panama and their national team, simply qualifying for the world cup is an historic achievement. Directed by Dan Faber.